Hi, I was wondering what time of year is best for applying Bora Care for control of powder post beetles? I am attempting to get control of powder post beetles in my hardwood flooring and I know that they begin emerging in the Spring, so would it be best to apply the Bora Care before they emerge from their exit holes or does it matter? The adults that emerge from the wood are actually completing their life cycle. They emerge from their "pupal" casing inside the wood, and then exit the wood. This is what you are referring to. This cannot be stopped with any chemical sprayed onto the wood. The only way to stop this is with fumigation, which is a gas that will penetrate the pupal casing and kill the soon to be adult beetle. So the bottom line is that it doesn't really matter when you apply Bora Care to the wood. The only life stage you will kill is the larvae or worm. 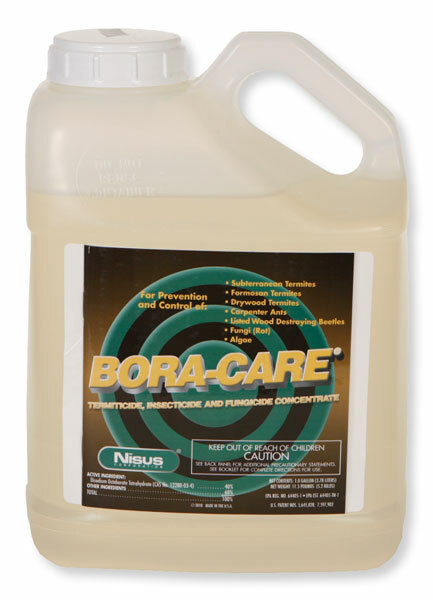 The eggs, pupa and adults cannot be killed with Bora Care. Preventive treatments are only aimed at killing the larvae.